Accidents Editor Sandy Stott on Imagining Ourselves in Danger: “Part of what brings many of us to the Accidents report is our absence from it,” Stott writes. “Most often, this is true literally, but it is also true figuratively. We don’t see ourselves in such straits, even as we walk the same trails and cross the same slopes. ... Increasingly, as I offer comments on others’ missteps and endings, I see myself. Hiker reaches to fill his water bottle, slips, and dies. 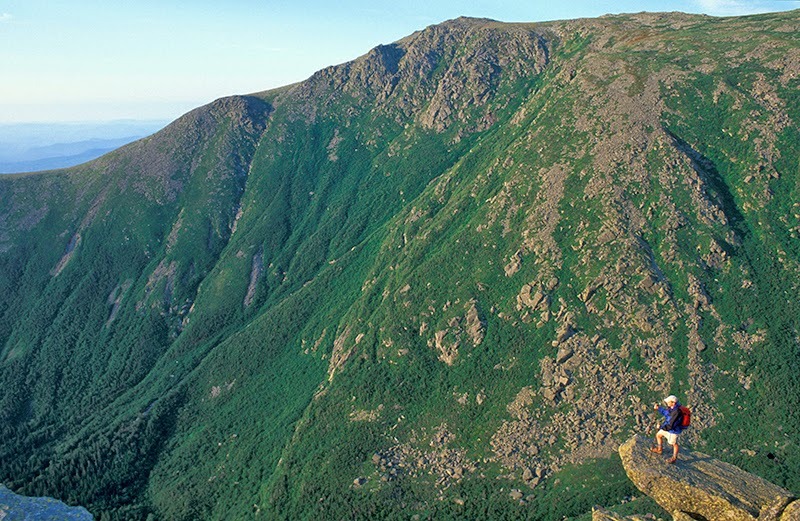 Last September 19, Luc P., age 25, climbed Mount Washington for the first time, driving to the Pinkham Notch side from Montreal, Quebec with four friends. They left late, shared some wine at the summit, and started down in the chilly, clear weather. On the way down, Luc left the Tuckerman Ravine Trail to check out a waterfall. Trying to refill his water bottle in the stream, he slipped and fell to a small, wet ledge 150 feet below. Rescuers who included a nurse out hiking, an Appalachian Mountain Club caretaker, and staffers of the Mount Washington State Park and the Mount Washington Observatory, all managed to reach Luc, who was still conscious and attended by one of his friends. After sunset, the New Hampshire National Guard made a difficult rescue using a Blackhawk helicopter. Luc was pronounced dead at the hospital. What went wrong? Stott’s analysis considers many factors: The group started late on a trail they’d never attempted before. Waterfalls and new views lure hikers off official trails. Wet rock often leads to slips and death. Read the full story of this all-too-common tragedy in the full Accidents report, available in the next Appalachia.